Two Bronze Age gold bracelets almost 3,000 years old have been discovered during excavations along the route of the East Kent Access Road. When they were found one bracelet was placed inside the other. The bracelets were found in an area of the Ebbsfleet peninsula from which four other Late Bronze Age hoards are already known. Those hoards are all of bronze objects, mainly axes, tools like punches and gouges, fragments of swords, and small ingots. 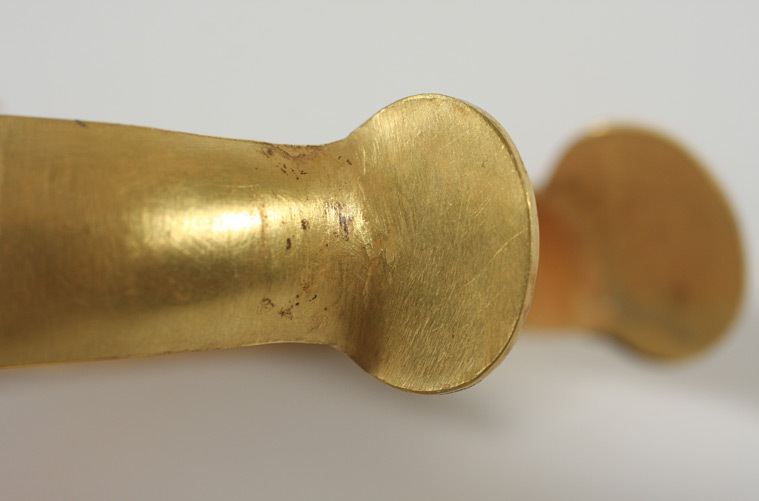 Although traces of a Late Bronze Age settlement have also been found, the two hoards of axes found in 2004 were shown to be later than the occupation. 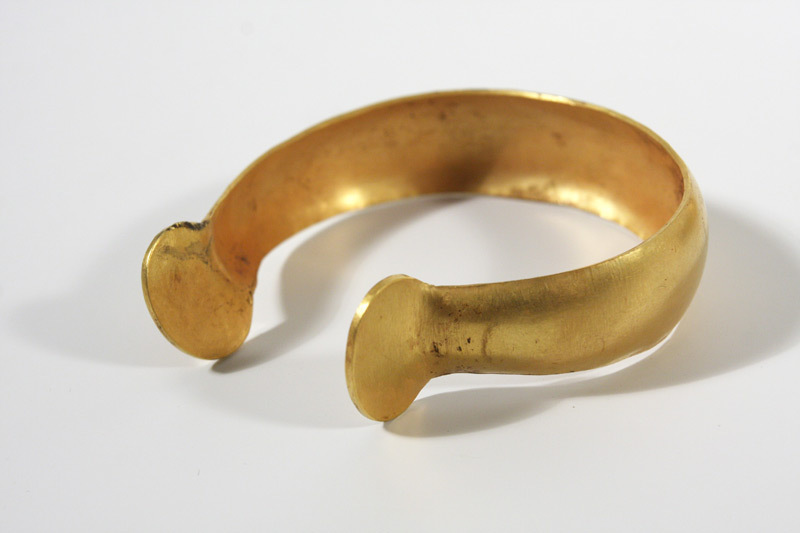 One theory is that the newly discovered gold bracelets were votive offerings to the gods. Another is that they may have been buried for safe-keeping but never retrieved. 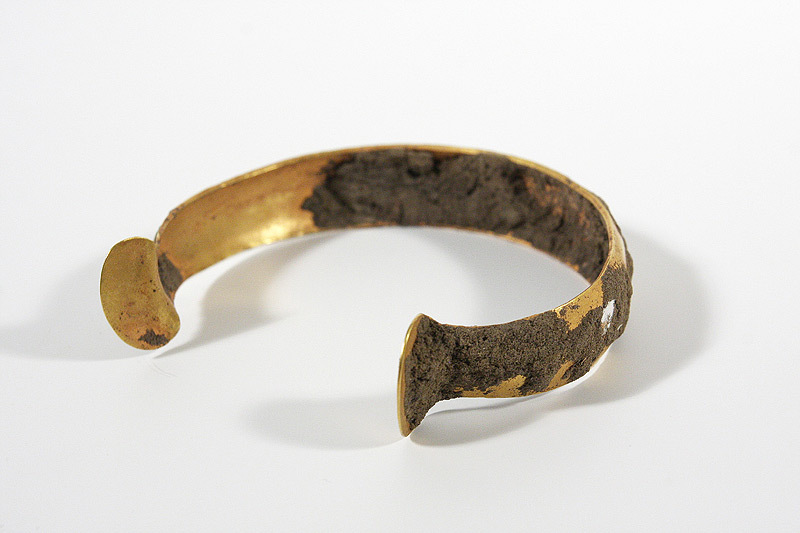 Like some of the previous finds, the bracelets had not been buried in a pit. They were found in the topsoil which suggests that they were either covered by a thin layer of soil or perhaps placed in a bag or other organic container. The findspot lies at the foot of low but locally prominent hill which although it is some way inland today, would have been much closer to the sea in the Bronze Age. 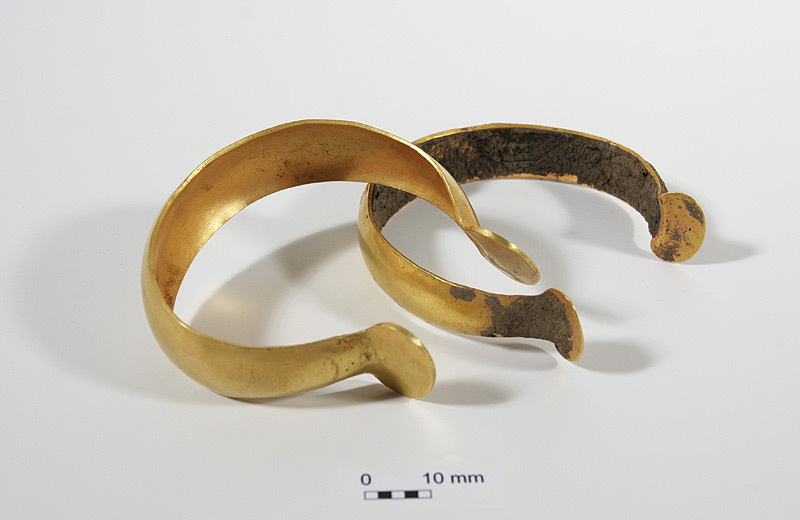 The best parallel for the bracelets, which date to the 9th or 8th century BC, are from two hoards found at Bexley Heath in Kent, which are now in the British Museum. The bracelets have been reported to the North East Kent Coroner and in due course they will be declared Treasure under the Treasure Act. Archaeocast visits the site during one of our July 2010 Open Days to find out about what has been found so far. Hear from our specialists about prehistoric flint tools and how we learn about past environments, find out what some of our volunteers have been up to, and go on a site tour of a late Iron Age village. Listen to our first podcast now by clicking the play button below, or subscribe to Archaeocast with iTunes to get future updates automatically. Listen to more archaeology podcasts from Wessex Archaeology’s Archaeocast. 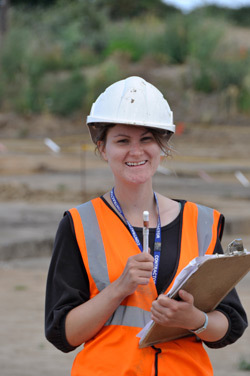 13 JulWhat is environmental archaeology? Environmental sampling is essential for the recovery of small plant and faunal remains such as cereal grain, chaff, insects, molluscs and small bones. The study of these remains can provide vital information on factors such as economy, agriculture, diet, trade and the environment of past settlements. The environmental processing has been ongoing throughout the excavations on the East Kent Access Road. Generally samples are taken from features which are thought to have a high potential for environmental remains, and are then brought back to the compound for us to process. The standard size for a sample taken for charred remains is 40 litres. 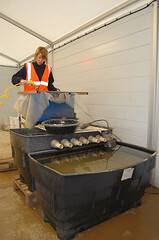 The samples are floated in a modified flotation tank, which allows any preserved plant remains and molluscs to float and be collected on a fine mesh, known as the flot. The remaining residue is sieved through graded meshes. 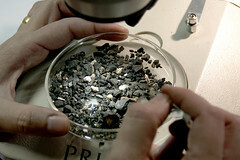 The flot is then allowed to dry and scanned under a binocular microscope in order to determine the presence and preservation of charred plant remains. The dried residues are scanned by eye, with any surviving bones or artefacts retained. The samples we have processed from this site have been very varied and have displayed a good range of material and will eventually, when fully analysed, be able to provide a good environmental reconstruction of the site. The preserved plant remains from the samples have all been charred (with the exception of a few mineralised examples) and will be able to provide information on land use, agriculture, trade and economy. The mollusc preservation has been varied, with the sites on the calcareous zones providing a much larger assemblage of well preserved molluscs than those sites on brick earth or Thanet Sands. Because molluscs are very indicative of the environments in which they live, the analysis of these assemblages will help us to build up a picture of environment and landscape change through the different periods of the site. Environmental processing can often be a very wet and muddy job! It can also be very varied, with one sample containing the burnt remains of a disused hearth, and the next sample containing a layer (complete with poo!) from a Roman cess pit. 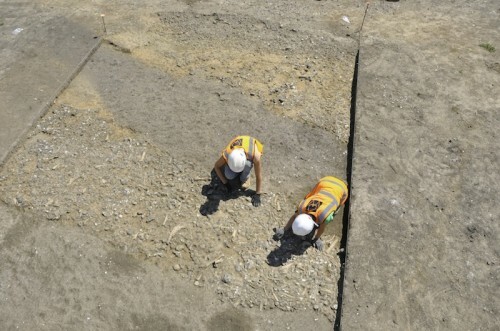 Processing the samples on site has its advantages, as we can swiftly identify the features which are providing productive remains, and target them for future sampling. Processing and analysis of the samples will continue for some time after the excavation has finished.